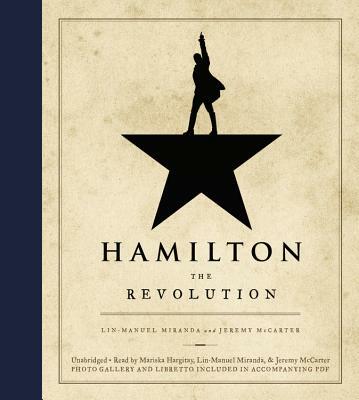 Hamilton: The Revolution (CD-Audio) | The Drama Book Shop, Inc.
Hamilton: The Revolution gives listeners an unprecedented insight into both revolutions, from the only two writers able to provide it. Miranda, along with Jeremy McCarter, a cultural critic and theater artist who was involved in the project from its earliest stages - "since before this was even a show," according to Miranda - traces its development from an improbable performance at the White House to its landmark opening night on Broadway six years later. In addition, Emmy and Gold Globe-winning actor Mariska Hargitay lends her voice to the audiobook, and Miranda reads more than 200 funny, revealing footnotes for his award-winning libretto, the full text of which is included in the PDF with this audiobook.